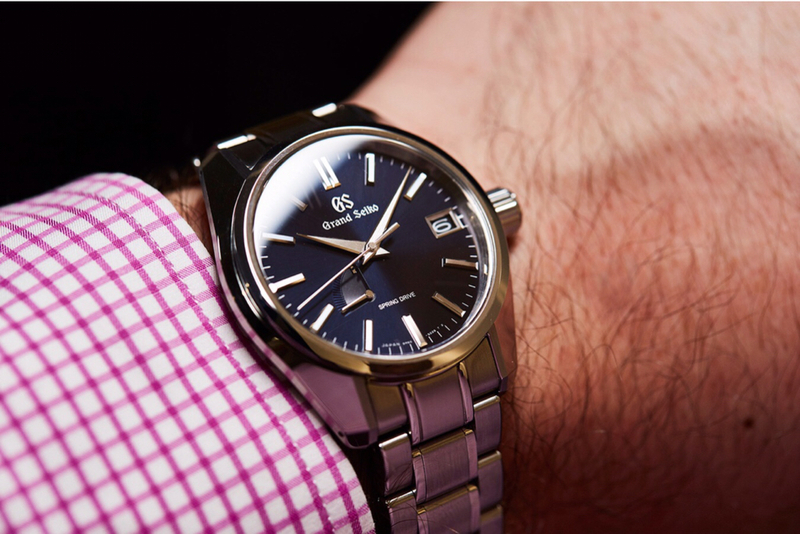 So, I’m looking for a watch that is versatile and can pull off both sporty and dressy. That looks at home on a bracelet or a leather strap. 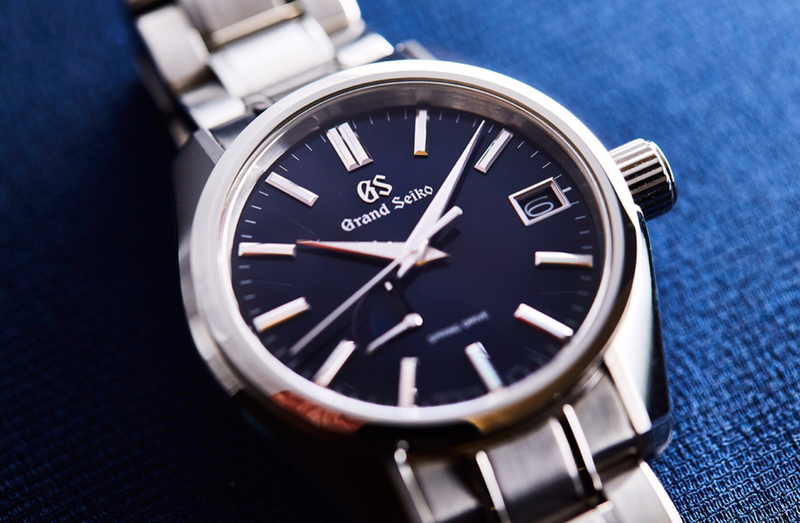 I am pretty sure I’ve narrowed it down to the 38.5mm Aqua Terra Skyfall or the Grand Seiko SBGA375. I loved the Skyfall when it came out and I think it still holds up today. The 38.5 fits my wrist well. Obviously I’d have to pick it up pre owned and I’m fine with that. The GS spring drive is pretty awesome IMO. And the blue, many times looking black, dial if the 375 looks great in pictures. I’ve not seen it in person but I’ve seen and handled GS in person and I find them very impressive. I’ve also considered the 373. 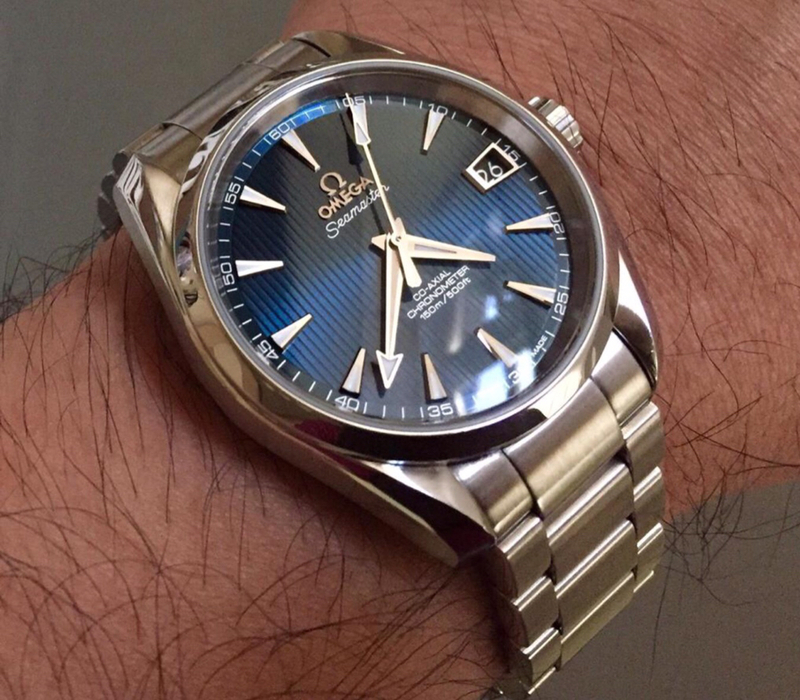 Obviously different dial color but from what I’ve seen, an excellent dial. I feel like any of the options would serve my purposes well, so I’m really just looking to see if anyone has thoughts, pros, cons, etc. about these options that might help me come to a conclusion. Last edited by NativeTxn; 2 Weeks Ago at 00:39. Last edited by JoeC; 2 Weeks Ago at 03:55. Tough call, both are excellent watches. 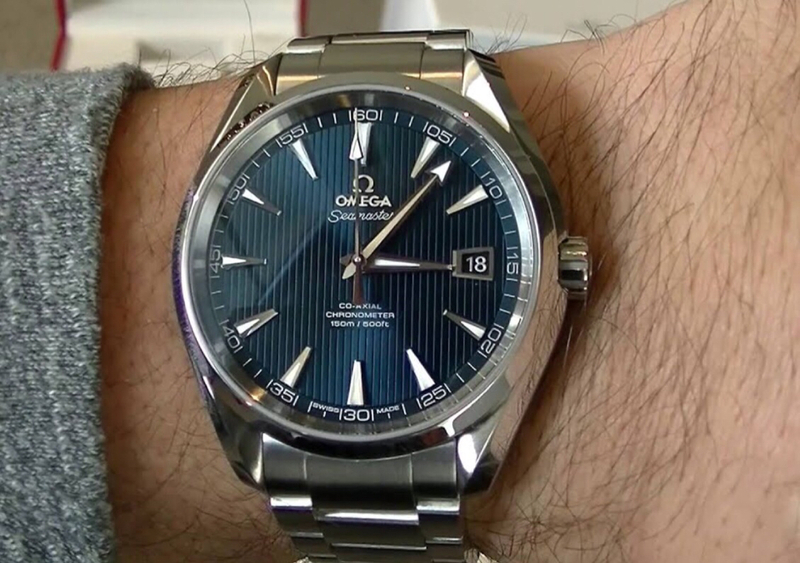 I own the Omega AT Skyfall, been wearing it all week. The best AT from a design perspective IMO and the movement is pretty solid, it’s a 2013 watch still keeping + 1.5 - 2.0. The AT’s design is a bit sportier than the GS, works fine as a dress watch but you can use it as a weekend sports watch too. If you can get a Skyfall in good shape it would be hard to pass up. I own a GS Spring Drive too, not the model you are looking at but enough to know the movement. My experience with the Spring Drive movement is that it’s plenty accurate but not the ultimate in accuracy. Inside +1 sec a day (about the same as my AT) but not +1 a month as some like to claim. The power reserve at 72 hrs. Is excellent and after winding 10 x or so it self winds to full power efficiently and rapidly. 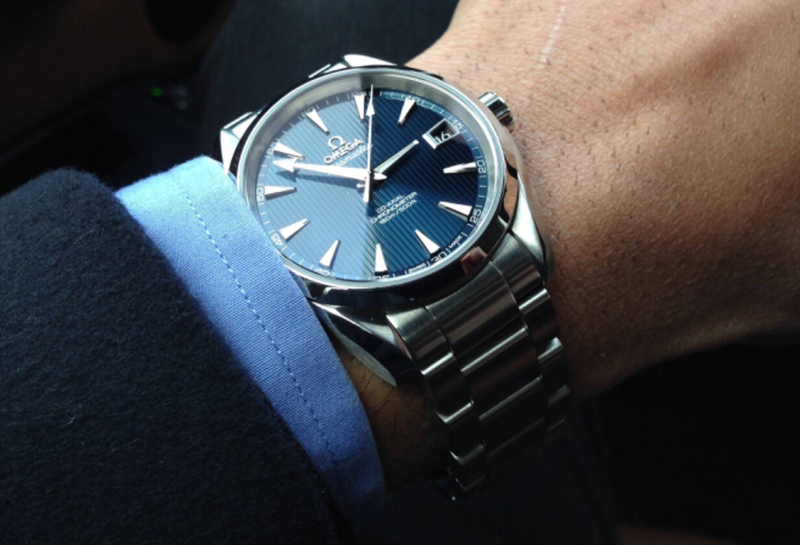 The smooth sweep of the second hand is cool to look at but who gazes at their watch all day? 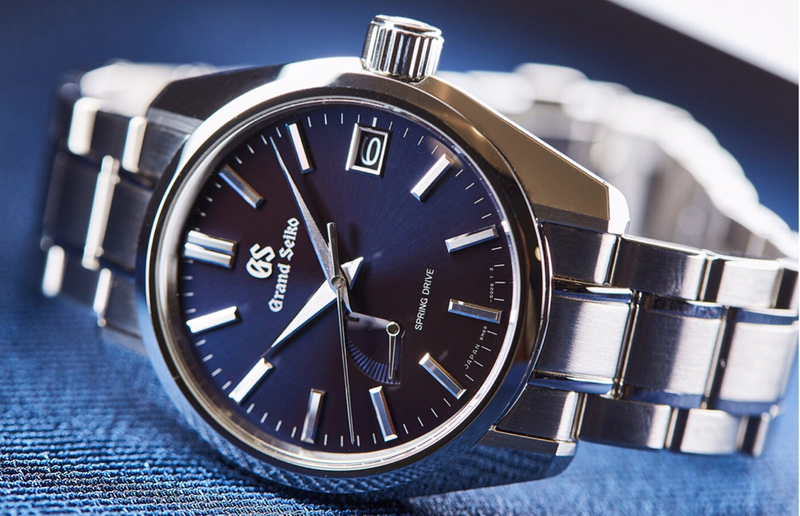 That blue dial GS sure is pretty. I’d buy it if it was in better shape than the AT but I’d prefer the AT all things being equal. We may be lost but we're making good time. Not even a close matchup. baytwenty3 and TwentiethCenturyFox like this. I've got 3 omegas already. Maybe why I'm leaning towards the GS for something different? AT is pretty though... Hm. You got any pics for this thread? Last edited by NativeTxn; 2 Weeks Ago at 07:32. IMHO the AT just edges it, but you have to go with the one that makes you smile most when you look at them. Both are great looking watches that dress up/down nicely. If you’ve already got a few Omegas then I’d probably opt for the GS, otherwise on looks and history I’d opt for the AT. There’s no loser between these two.